The Government has just launched its new insulation funding scheme but it is now confirmed that the grants are only for lower income home owners and won’t be available to landlords. The previous National-led Government’s amendments to the Residential Tenancies Act introduced the requirement that all rental properties must be properly fitted out with ceiling and underfloor insulation by July 2019. But the passing of the current Government’s Healthy Homes Guarantee Act upped the insulation stakes as it will require minimum standards for insulation. 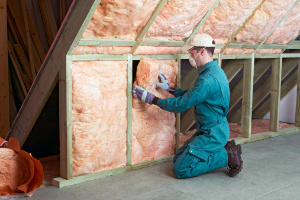 While those standards haven’t been established yet, it is expected they will require insulation in rental properties to meet the current (2008) standard. Yet the Government’s new $142 million Warmer Kiwi Homes insulation subsidy programme will not be available to landlords, apparently because they have been targeted in previous such schemes. Energy and Resources Minister Megan Woods says the grants are targeted towards those who need them most: homeowners who live in low decile areas or with a health condition or a community services card. But many of those who need it most are tenants living in rental properties - which means they won’t benefit from the grants. Many landlords didn’t go through previous government insulation schemes because, even with the subsidies, the costs were too expensive, according to NZ Property Investor Federation executive officer Andrew King. “That means that many landlords who still need to insulate their rental properties, have limited options – and an increasingly pressing need to get the insulation done. King adds that all landlords should check whether they meet the insulation requirements urgently. From 1 July 2019, a landlord who fails to comply with the regulations will be committing an unlawful act and may be liable for a penalty of up to $4,000. Celebration is the name of the game for property investors nationwide after the Government announced that it won’t be introducing a capital gains tax. Prices remain high in the Auckland region but new data from two real estate websites indicates the market has shifted to favour buyers.